There is nothing more important than self-confidence for young children as they face the many challenges that come with growing up. At URSA Academy, our Kids Martial Arts Classes in Ann Arbor help students of all ages and backgrounds build themselves up through accomplishment and achievement. 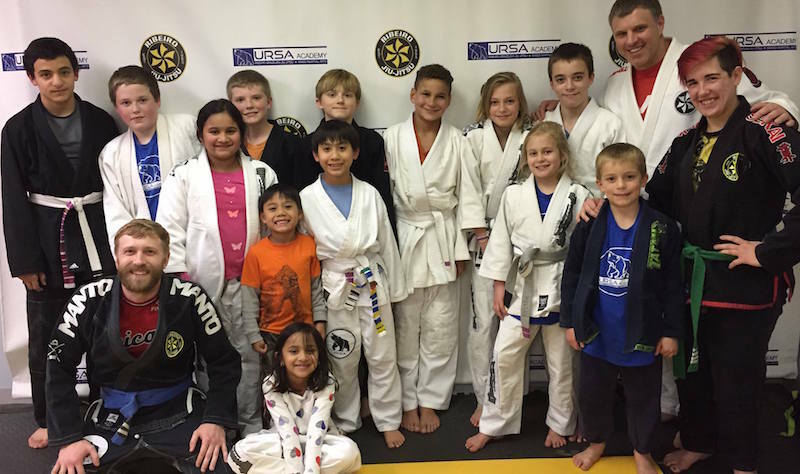 Our Kids Martial Arts Classes focus primarily on Brazilian Jiu Jitsu and allow students of all experience levels the change the develop coordination and strength while they learn vital life skills. It's easy for some children to feel doubt and discouragement. But at URSA Academy, we help students rise above those feelings with the excitement and energy of our Kids Martial Arts Classes. Your child doesn't need to be the next world champion to succeed with us. Instead, they are given every opportunity to build their skills one step at a time on the path long-lasting pride and incredible Brazilian Jiu Jitsu skill. That's right, the skills your child learns in our Kids Martial Arts Classes aren't limited to just the dojo. With every step forward your child takes in our BJJ program, they can be proud of the physical tools they have developed. From the baseball field to the basketball court or whatever your child is interested in 10 years down the road, our Kids Martial Arts Classes will set them up for success in anything they do. Treat Your Child To The Best Kids Martial Arts Classes In Ann Arbor Today! Don't let your child face life without confidence and the foundational tools they need to be successful. Surround them with positive influences and a team of instructors who truly care about their success at URSA Academy. To learn more about our Kids Martial Arts Classes in Ann Arbor or to get started today, all you have to do is fill out the short form on your screen now!